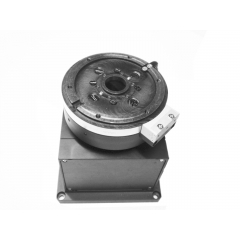 The RotoLinear Z(Lift) - θ (Theta) Positioning Module is a high performance dual-axis air bearing system that replaces bulkier conventional electro-mechanical actuators in pick-and-place applications. It combines the latest brushless servo motor, encoder and air bearing technologies to deliver precise, programmable position and speed control in an extremely compact package. 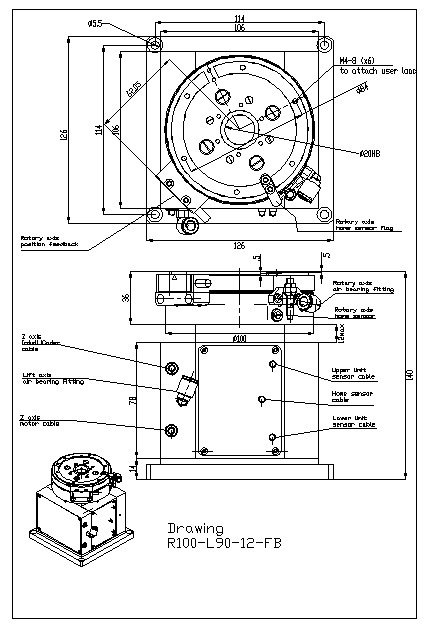 This Z-θ stage utilizes 2-axis Planar and air bearing technologies. The drive, bearings and feedback are totally non-contact. The RotoLinear Stage has a hole-through to route auxiliary vacuum and electrical lines to the top surface of the stage. Can be installed on the Planar XY forcer to operate as robotic X-Y-Z-Theta cell.